Companies > I > Internet Download Manager, Tonec Inc. Address: 641 Lexington Avenue, 15th fl. 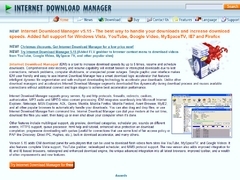 Programs from Internet Download Manager, Tonec Inc.